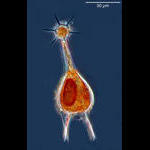 A dinoflagellate (the tripod-shaped cell) sporting a silicoflagellate (star-shaped cell). 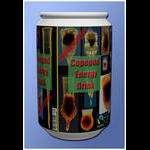 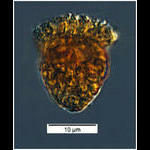 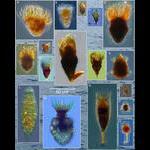 Have a drink with a ciliate. 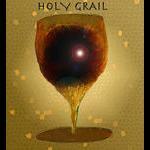 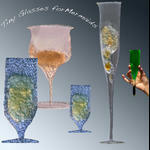 Poroecus curtus and Rhabdonella spiralis as Biot glass stemware. 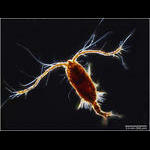 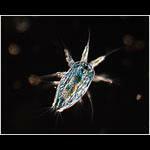 Copepod nauplius from the Bay of Villefranche. 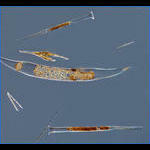 Actually a colony of pennate diatoms rearranged. 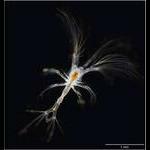 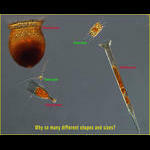 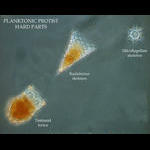 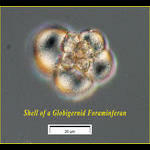 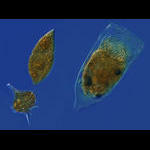 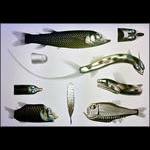 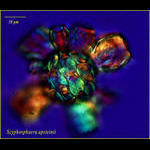 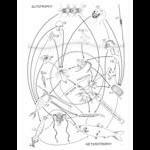 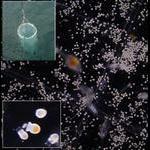 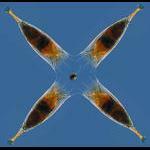 Some plankton protists have hard parts, shells or skeletons. 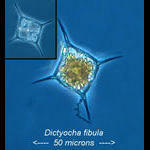 Skeleton of the silicoflagellate Dictyocha speculum. 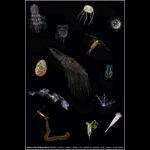 Found in a sample taken in May 2014 from the Bay of Villefranche. 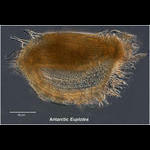 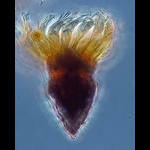 A tontonnid oligotrich ciliate from the Amundsen Sea in Antarctica. 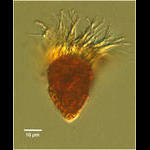 Bouin's-fixed specimen imaged using a 20x objective. 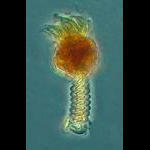 A common "30 something" (microns) Strombidium-like oligotrich from the Bay of Villefranche. 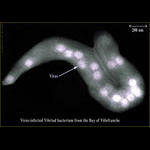 A vibrio-like bacterium (not a protist) infected with viruses. 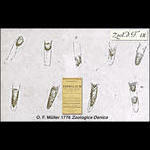 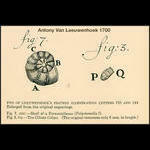 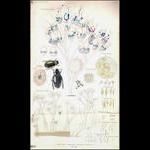 The first description of a tintinnid species was in Otto Fredrick Müller's "Zoologica Danica" published in 1776. 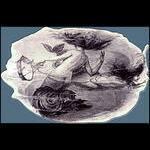 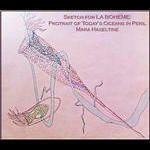 Photographing Mermaids is much more difficult than faries as they are fast swimmers. 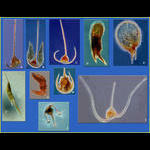 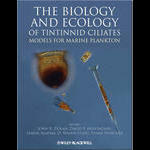 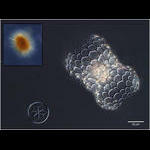 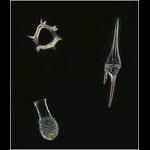 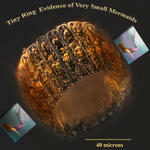 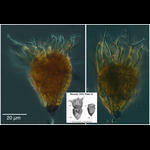 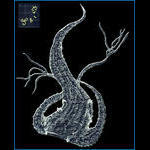 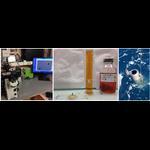 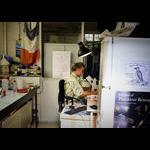 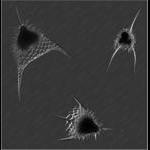 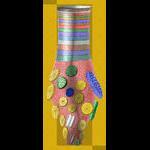 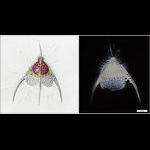 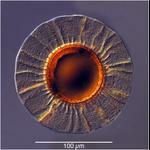 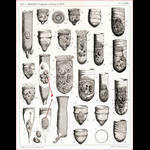 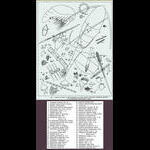 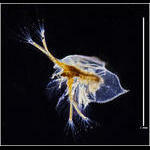 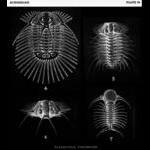 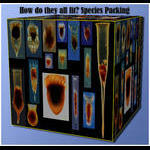 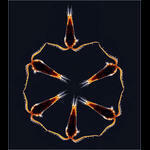 A book of their own: The Biology and Ecology of Tintinnid Ciliates: models for marine plankton. 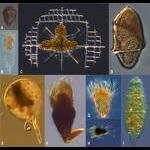 Plankton organisms (mostly protists) from waters near Kiel, Germany, by Hans Lohmann (1908, Figure 7). 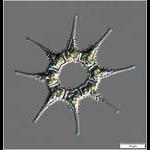 Pediastrum simplex, a desmid algae - a nice looking phytoplankter. 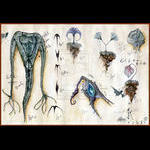 Fauré-Fremiet's drawing from his description of the most bizarre oligotrich Tontonnia appendiculiformis: a mixotroph with a pogo stick bouncing tail. 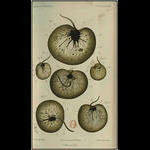 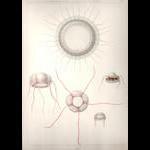 Plate from Okamura 1906 "An Annotated List of Plankton Microrganisms of the Japanese Coast". 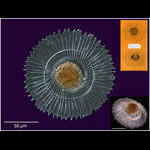 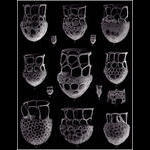 Whole cell and the skelelton of a radiolarian (microzooplankter) from the South Pacific. 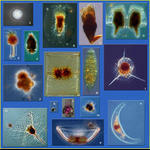 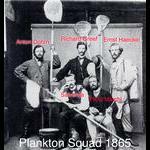 From a sample taken at station 98 of the Tara Oceans Expedition. 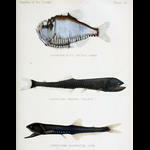 Plate 2 from Murray & Hjort's 1912 classic Depths of the Ocean. 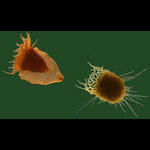 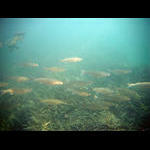 Argyropelecus affinis, Gonostoma grande (now known as Sigmops bathyphilus) and Gonostoma elongatum. 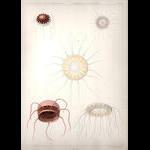 Plate 8 from Murray & Hjorts' 1912 classic "Depths of the Ocean". 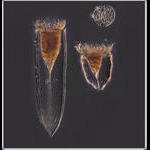 Hydrolagus mirabilis (Collet 1904), originally known as Chimera mirabilis and Nezumia aequalis, originally known as Macrurus aequalis (Günther 1878). 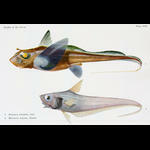 Deep sea fish with teloscopic eyes. 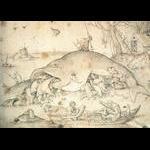 "Pelagische Tiefseefische mit Teleskopaugen" from Carl Chun 1903. 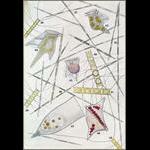 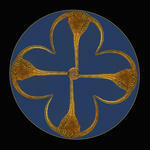 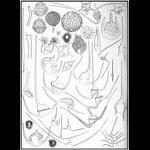 "Aus den Tiefen des Weltmeeres" Illistration by Fritz Winter. 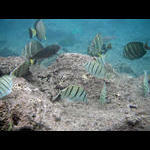 Convict Tang, Acanthurus triostegus, and whitspotted surgeonfish, Acanthurus guttatus. 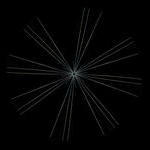 Feb 21 2014. 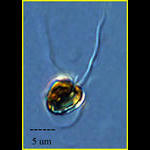 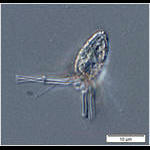 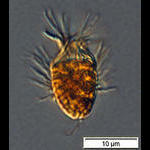 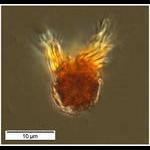 A very small strobilid ciliate from the Bay of Villefranche in November 2013. 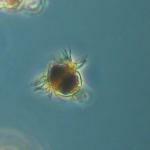 A very small (30 µm) tontonid oligotrich ciliate from the Bay of Villefranche in April 2014. 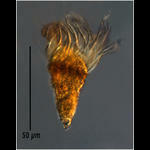 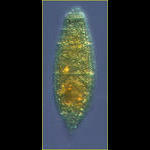 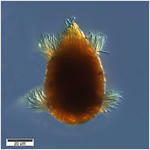 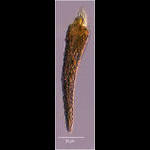 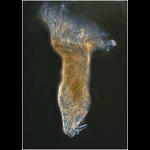 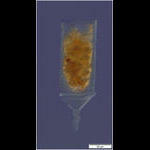 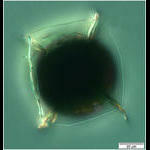 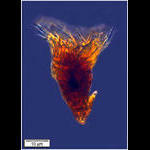 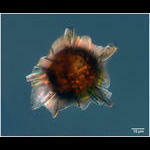 A medium-sized tontonid oligotrich ciliate from the Bay of Villefranche in October 2013. 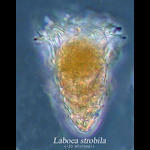 Z-stack of image made using a 40x objective, lugol's-fixed specimen. 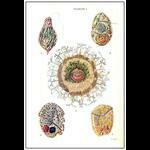 From Vignal's 1878 paper on Noctiluca, a bioluminesent dinoflagellate. 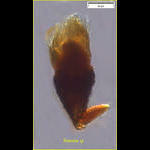 Very Small Holy Grail made from the tintinid Epiplocylis undella. 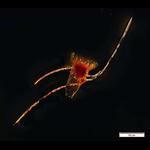 Plankton net tow on March 14th 2016. 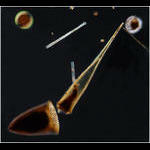 Very large numbers of tintinnids! 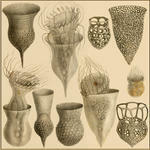 Haeckel's drawing from his 1862 description of Dictyopdium trilobum, now known as Pterocanium trilobum, and a skeleton from Point C found on November 21 2017. 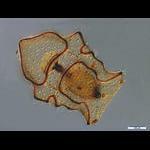 Found at Point C from 250 m depth in June 2018. 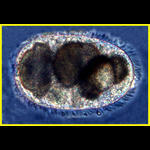 Sea Star larvae found in deep sea sample on Feb 12 2019. 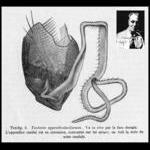 Deep-Sea Medusa from Vanhöffen E. 1908. 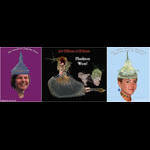 Die Narcomedusen. 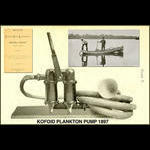 Wissenschaftliche Ergebnisse der Deutschen Tiefsee-Expedition auf dem Dampfer ‘Valdivia’ 1898–1899,19:41–74.